Post news Report RSS	Dev. 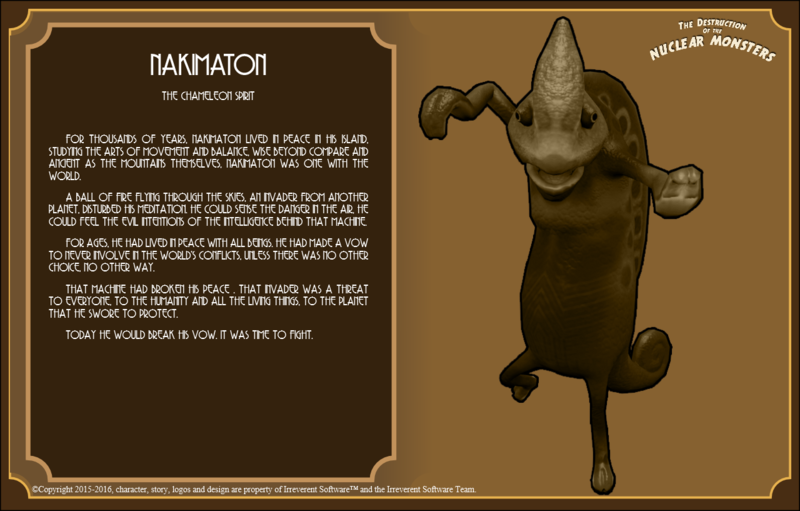 Diary #1 Meet the Nuclear Monsters! During the last few weeks, we have been developing our new fighting game "The Destruction of the Nuclear Monsters", a Giant Monsters brawl game, inspired by the great giant monster flicks, both old and new, with some interesting twists. In our last article, we covered some of the features of the game, but let's talk now about the big part : the characters and story! For this game, we knew that we wanted something big, we wanted to give the players destruction like they had never seen. That's why instead of making small battle maps for the monsters to fight, early on we decided to give you a whole city, full of suburbs, hospitals, power plants, parks, military bases and unique landmarks. 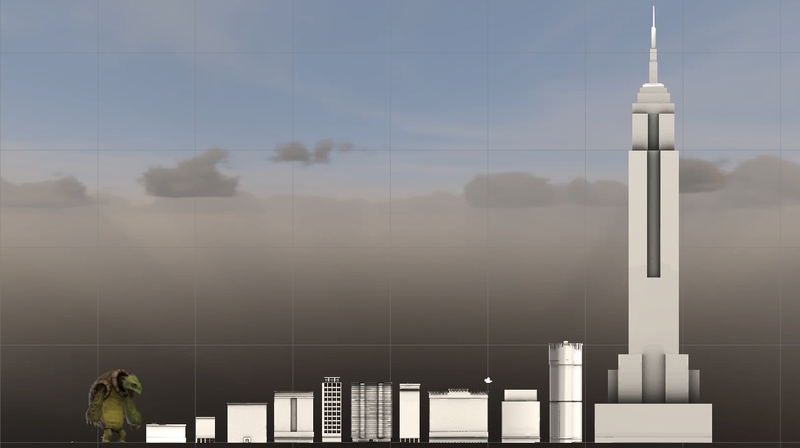 Right now, the city is under construction, with most of downtown already in place, and our modeller making dozens of houses, in dozens of variations each, to make the suburbs. 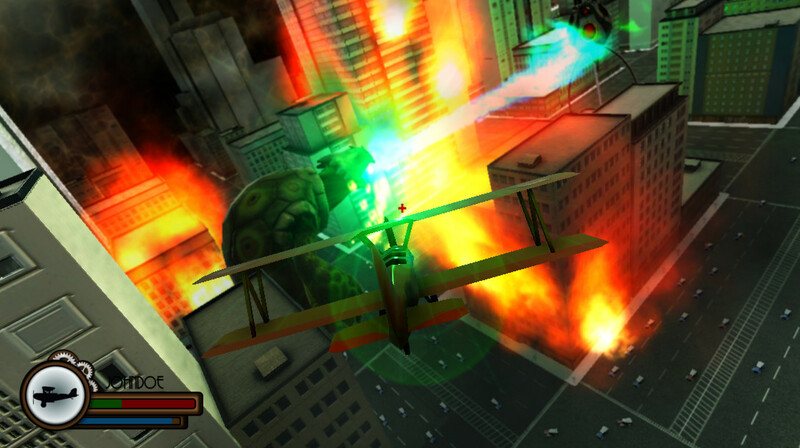 Each building in the game is fully destructible, so you can expect to end a long fight in the middle of a completely devastated city. Atomville is an island, slightly based off Manhattan, London and other big cities. As the game is set in 1930's, the buildings and transports all have an old style. The island of Atomville measures ~36 square kilometers, that is roughly 14 square miles of battleground. Of course, if you want to fight in shorter matches, smaller maps are also available. Now let's start with the story! The story behind the Earth's Greatest (and BIGGEST) Battle, and its protagonists. Atomville was the pioneer in nuclear energy in the late 1920's and early 1930's. In the world of the game, the First World War never happened, and the discovery of nuclear energy came much earlier, thanks in part to some discoveries about ancient, apparently alien technology. By 1932, Atomville opened it's first Nuclear power plant, the pride of all its people. However, they started polluting the seas, and the damage was getting more and more serious. 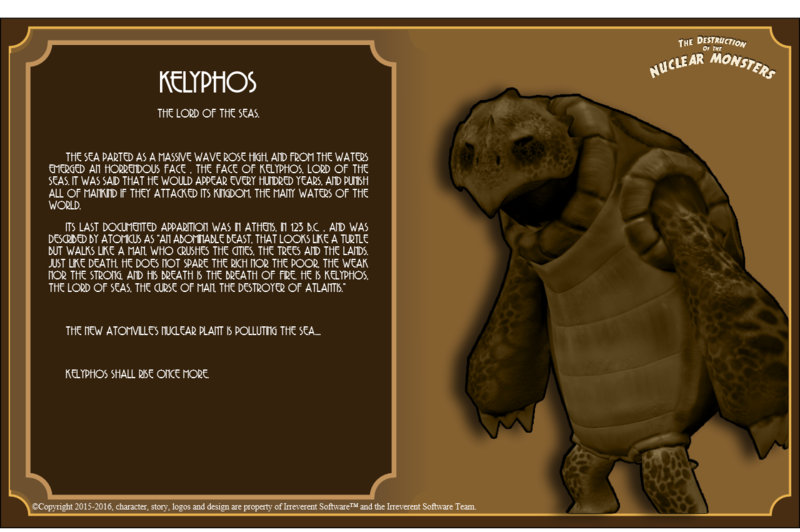 This in turn, awoke the rage of a mighty and ancient creature, a protector of the seas, called Kelyphos. Kelyphos arrived to Atomville, decided to destroy it and avenge the damaged seas. At the same time, but in deep space, a machine coming from a distant star was about to land on Earth. Its civilization had left their technology here many years ago, preparing for a future landing. 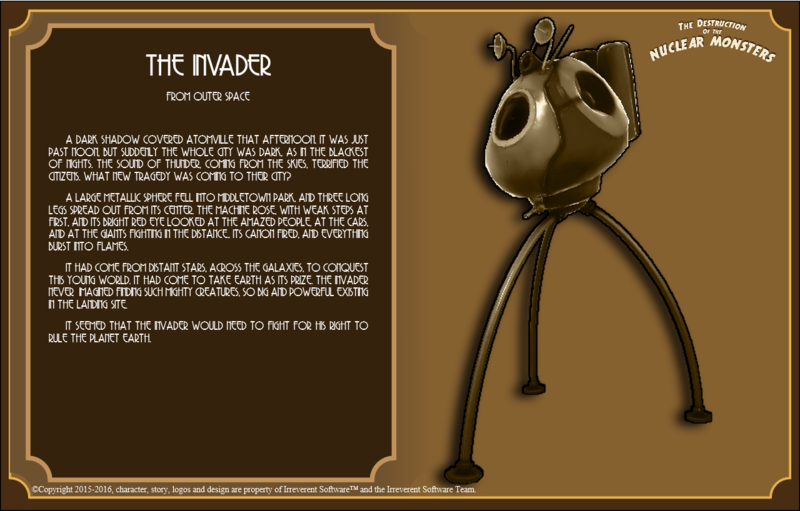 That moment of invasion had come, and The Invader from outer space prepared to take over the biggest and most important city in the world, Atomville. On it's way to Atomville, the Invader was spotted by two more creatures, an ancient spirit, wise beyond its age, who loved and protected all living creatures. Nakimaton, the Chameleon. And with the cries for help of its people, an ancient GOD decided to wake up, and join the battle, to defend mankind. 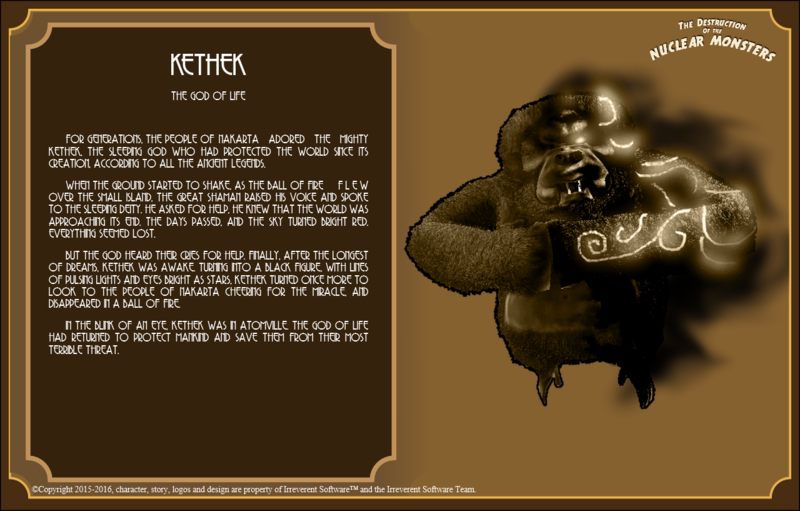 IT was Kethek, the God of Life. But there was a newcomer that no one expected. 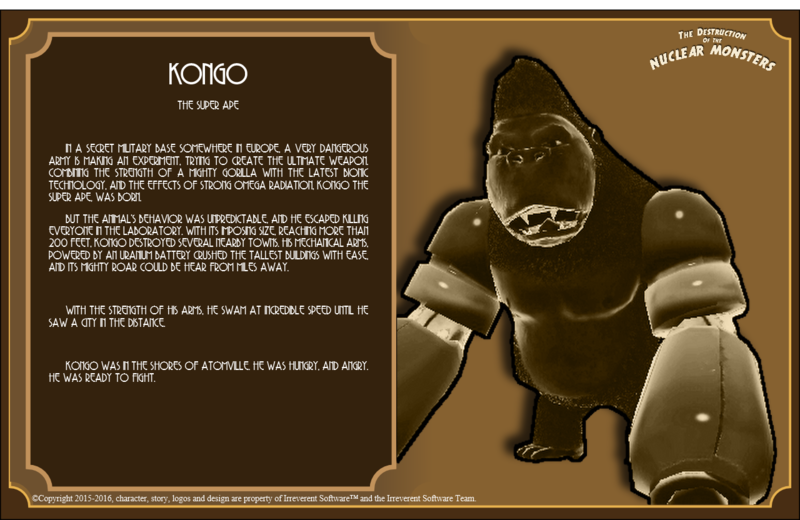 A raging beast, victim of cruel experiments by a ruthless army, mutated beyond recognition, augmented with bionic implants and that in its fury, blinded by the anger, and like if it was called by destiny, came across the biggest city he could find...Kongo arrived to Atomville. With all the fighters ready, and Atomville set as the location for the battle for the world's fate...who would win? Who would die? Would mankind survive? That is for you to decide!! 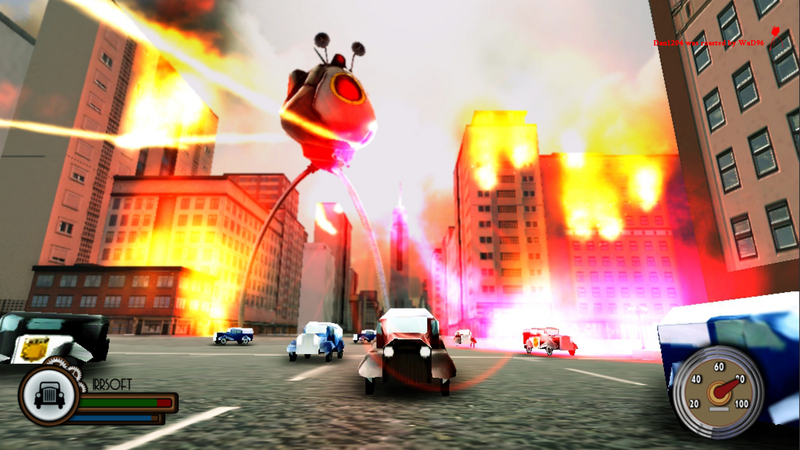 WIth a full story mode campaign that can be played as each one of the six characters, plus a campaign played from the humans side, with multiplayer modes that let you put the monsters one against the other, or try to defend the city from the oncoming attacks, and with a level of destruction unlike anything you have watched before, get ready to witness and be part of the greatest and biggest battle ever! 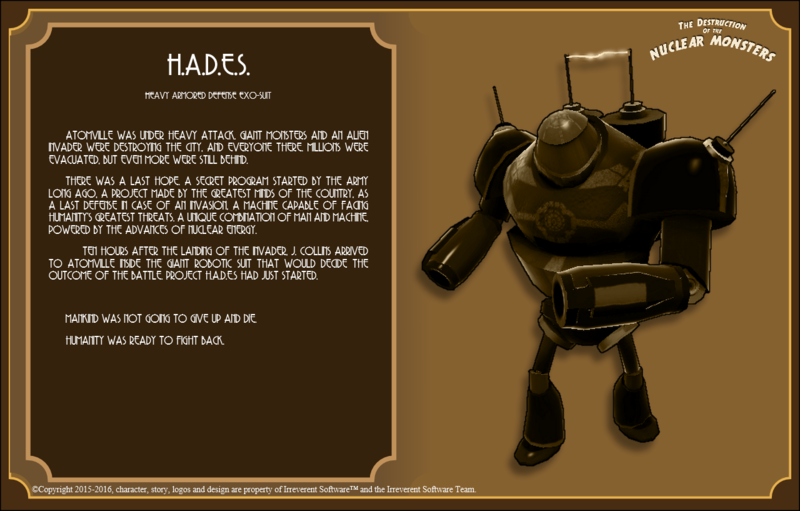 In our next article, we will cover in more detail the gameplay of the game, both for the monsters and the humans. Besides, we have a small interactive gameplay test that will be available for everyone soon. Remember to track our game here in IndieDB to get all the updates as we go through development, and to follow us on Twitter to get the latest news, as we release there during the day the latest pics, videos and news about this game under the trend #NuclearMonsters. Thanks for your support, and best regards! oAo Nice, but what would be your objective if you were the car? Get stomped and eated o-o? You drive the car around the city trying to survive against a timer. Survive long enough and you get a class upgrade, and can drive a tank/military car/other vehicles. If you get enough points with the tank/military car/other, the next upgrade would be a plane or a ship, the ability to call an airstrike, etc. Hope this solves the question, and thanks for your support! I see I see, so its like you complete these objectives to get a certain set of new skills to develop the character even further. That sounds very nice, thank you for the answer! Yes, when you play as the humans, the game is a little more objective oriented to get new skills. And no problem, we are glad it solved the question, and to see you like the concept!